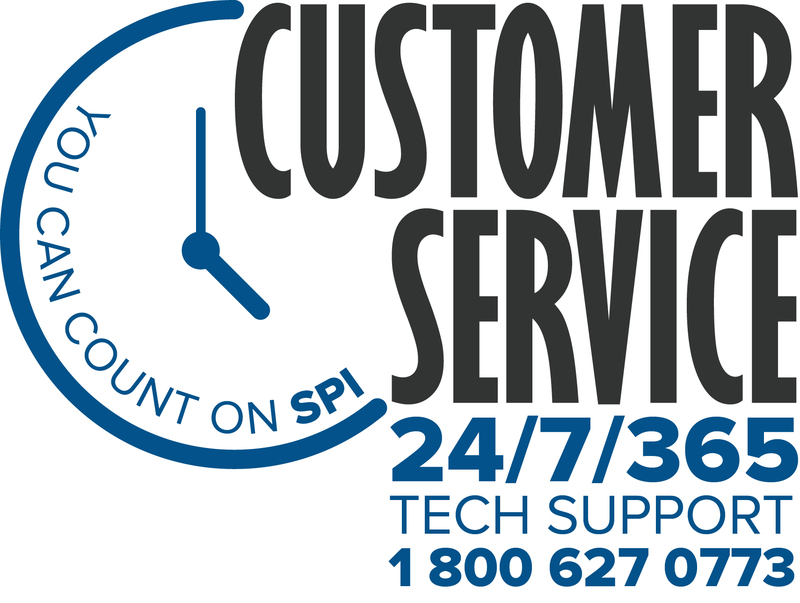 Oil & Gas – Specialty Products, Inc. Billions of people worldwide rely on fossil fuels for heating, transportation, agriculture, defense and manufacturing. Transporting and storing gasoline, diesel, hydrocarbons and industrial chemicals requires having safe, reliable containment, and spill prevention measures in place. SPI is a pioneer of the world’s most chemical resistant, spray applied, elastomeric polyurea coatings. 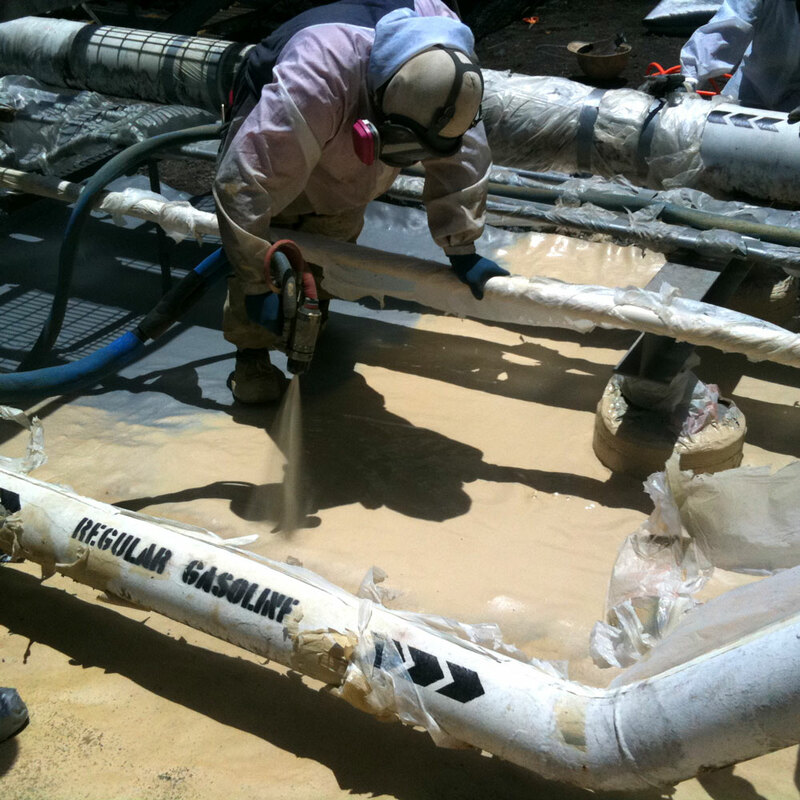 For primary tank lining, or containment of gasoline, diesel and ethanol, or fracking reagents used in drilling, SPI’s PTU™, ElastaFlex™ and Polyshield™ products are internationally recognized as the best monolithic, fast setting, elastomeric and chemical resistant polyurea coatings in the industry. Protecting the environment from accidental chemical spills is of the utmost importance. SPI is your partner for the best chemical resistant secondary containment liners designed for dozens of industries. If you’re working with industrial chemicals, acids, hydrocarbons, or petrochemicals then you can trust Specialty Products to provide the best coatings for your containment needs. Top oil companies around the world are using SPI polyurea coatings to line new and existing tank farms and refineries. Environmental regulators and owners of airports, railways, gas stations and transportation companies have also recognized the benefits of lining areas around storage tanks, refueling stations, and inside of over-the-road tankers with our chemical resistant polyurea barriers. The rapid advancement of hydraulic fracturing provides a competitive edge by expanding the production capacity of oil and natural gas wells. Throughout the years, SPI has collaborated with oil and gas production companies to identify their primary and secondary containment needs, for both insitu and for mobile infrastructure. Additionally, our polyurethane foam products are helping to keep costs down by insulating storage tanks, transport pipelines and even creating energy efficient housing in the fracking regions. Since SPI has been insulating oil pipelines and storage tanks in Alaska for more than 40 years, companies around the world now turn to SPI for guidance with their insulation challenges.